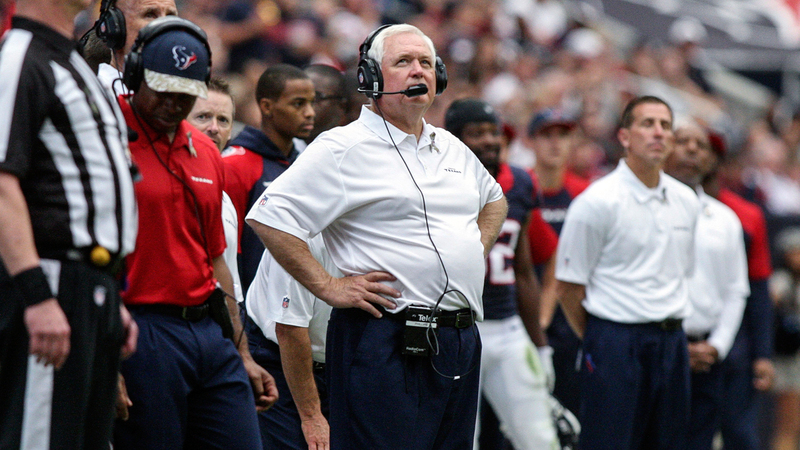 Wade Phillips wants a job and he’s not afraid to use Twitter to help him get one. The former Dallas Cowboys head coach used the social media website on Wednesday to voice his disappointment in not getting any job interviews. Phillips was fired as defensive coordinator of the Houston Texans on Jan. 4. Houston finished with the NFL’s seventh best defense in 2013, allowing 317.6 yards and 26.8 points per game. The Texans also finished seventh in defense in 2012 and second in 2011, Phillips’ first year with the club. Phillips coached the Cowboys from 2007-10. The Cowboys went 13-3 in his first season, then 9-7 and 11-5 in the next two before Phillips was fired after a 1-7 start in 2010. Dallas had a top 10 defense in each of Phillips first three seasons as head coach. The 66-year-old has also been defensive coordinator in New Orleans, Philadelphia, Denver, Buffalo, Atlanta and San Diego. His previous head coaching jobs included three games as interim coach this season in Houston, three games in Atlanta, 48 games in Buffalo, 32 games in Denver and four games in New Orleans. His overall record is 82-64. Phillips is 1-5 in playoff games as a head coach, receiving his only win in 2009, the Cowboys’ 34-14 victory over Philadelphia.